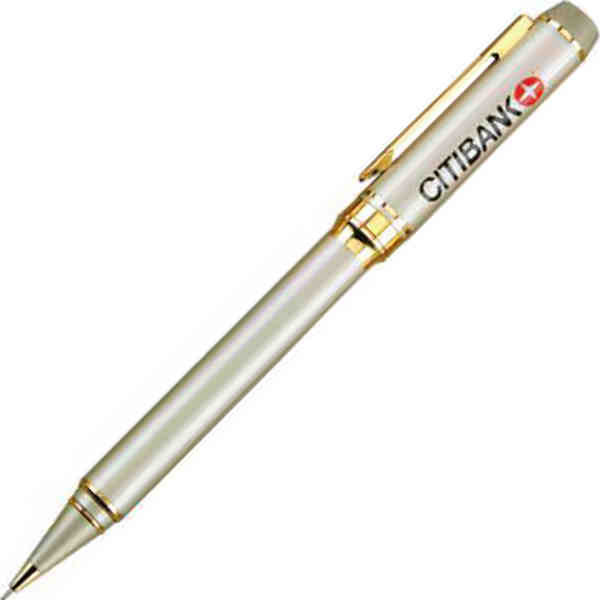 Prove to new and potential clients that you're a cut above the rest when you advertise with this elite pencil! The twist-action construction pencil features 0.9 mm lead, an elegant brass barrel and gold clip and trim. Hand it out at tradeshows, grand openings, seminars and other advertising events to spread the word about your services among your target audience with ease. They're sure to love holding your brand in the palm of their hands every time they use this gorgeous writing utensil! Price Includes: Per color/position, plus product cost and shipping.